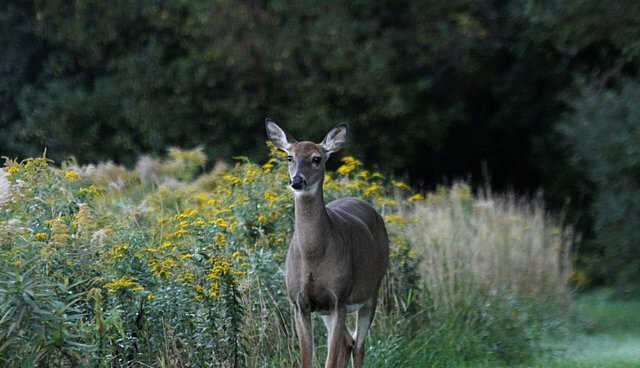 The HSUS is calling on all 50 state wildlife agencies to adopt rules to prohibit drone-assisted hunting, before this method of spotting wildlife and then chasing them down becomes the rage with people who've never contemplated the notion of hunting ethics. Drone hunting would allow hunters to use remote-controlled, camera-equipped aircraft to locate wildlife in order to shoot and kill them for sport. This shocking issue came to light in Alaska after wildlife officials there learned that a moose was killed by a hunter using a drone. This incident prompted the Alaska Board of Game to propose and unanimously pass a regulation outlawing this practice. Two other states, Colorado and Montana, also have recently outlawed the use of drones for hunting, while two other states, Idaho and Wisconsin, have already included prohibitions in existing regulations on the use of aircraft to hunt wildlife. Three more states, New Mexico, Vermont and Wyoming, have pending rule-making petitions before their respective wildlife commissions to ban the practice. Other states should follow suit, and promptly. I am not surprised by the opportunists who would use drones to make the odds even more lopsided in favor of the hunter. Now some hunters employ laser rangefinders, thermal night-vision cameras for hunting at dawn or dusk, motion detectors, GPS trackers for dogs, sophisticated ATVs for the toughest terrain, and much more. Obviously, our standards must reflect an awareness of technologies that turns hunting into slaughter. Already there are important rules forbidding hunting from aircraft or motorized vehicles, restricting baiting for most species, outlawing jacklighting or spotlighting animals or running down animals with snowmobiles, and other standards that seek to prevent slaughter and uphold "fair chase" standards. Of course, there are big gaps in the law, since about half the states still allow hunting of captive mammals behind fences, in pay-to-slay schemes where the outcome is guaranteed. Unmanned drones have some beneficial uses for wildlife -- from anti-poaching surveillance to protect elephants in Africa to the study of wildlife populations. But using them to spot game -- or one day to spot and shoot animals -- is beyond the pale. Responsible hunters and The HSUS agree that there's no place for this remote-controlled killing. In cases like this, the law must speak. There's no time to waste.